After a feverish few weeks of polishing and honing, the Windows version of our new 3DMark is finally complete and ready for release. The launch will be on Monday February 4, 2013 at 18:00 UTC. There is more work and testing to be done on the Android, iOS and Windows RT versions, but we are aiming for a short gap between releases, think weeks rather than months. In the meantime, we'd like to show you some of the new result tools we've added to 3DMark. 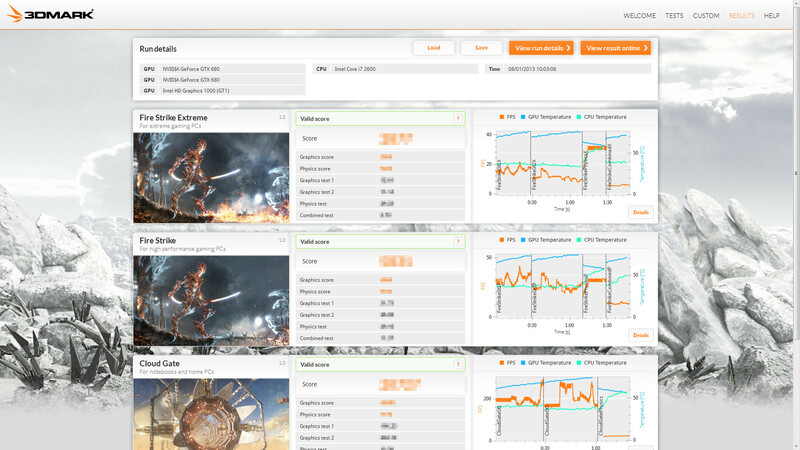 3DMark uses a combination of in-app features and online web services to help you understand the performance of your hardware. 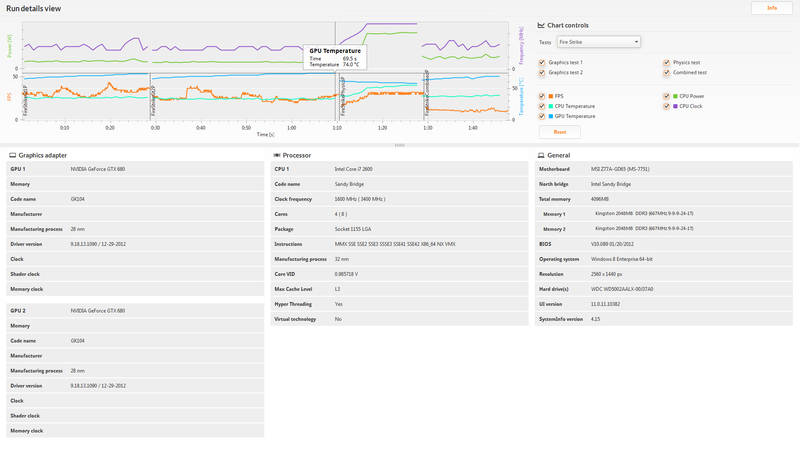 In these screenshots from the Windows version you can see the new performance graphs that accompany each test score. For components that support it, 3DMark records frames per second (FPS), GPU and CPU temperatures as well as CPU power and clock speed during the benchmark run. These graphs are interactive too. You can zoom in, change the scale and pan the chart to focus on a specific part of the benchmark run. You can click on the lines to get the numbers for that point in time, which is a useful way to check peak temperatures during the benchmark run, for example. Discuss this update in the 3DMark forum.